Bugger, I typed all of this post last night and it didn't upload so I will have another try again! 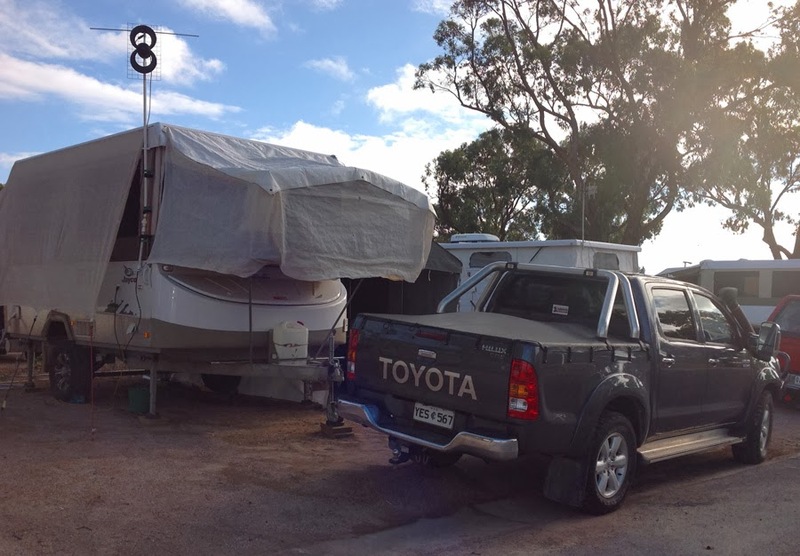 Our drive from Smokey Bay to Streaky Bay was certainly a long drive - NOT! It was all of 73kms (about 45 miles) but we still had a lazy day after packing up and then setting Myrtle up again. 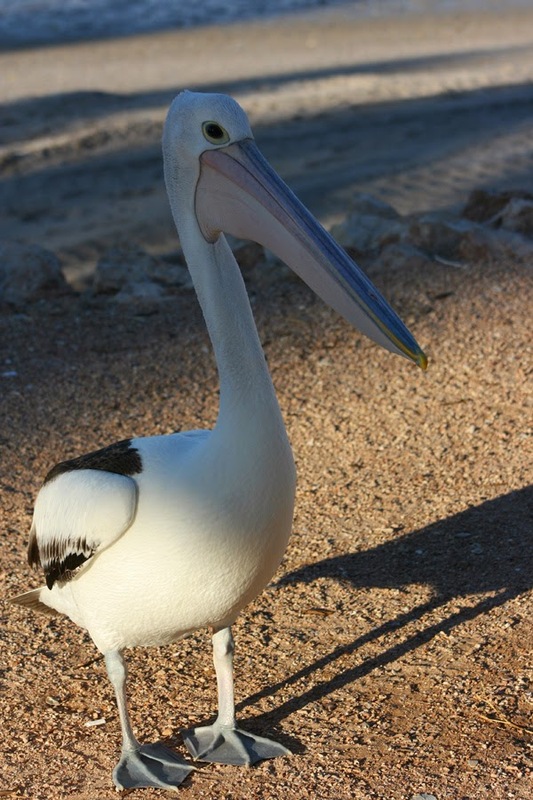 We are staying at Streaky Bay Foreshore Tourist Park which by the name implies we are right on the water. I've already been told we should be able to get some more crabs off the jetty here. Apparently they had a huge down poor on the same night we did in Smokey Bay. A local said all was OK but the Pub got flooded, instantly Shane asked if it was still open!! These guys always know where to get an easy feed. 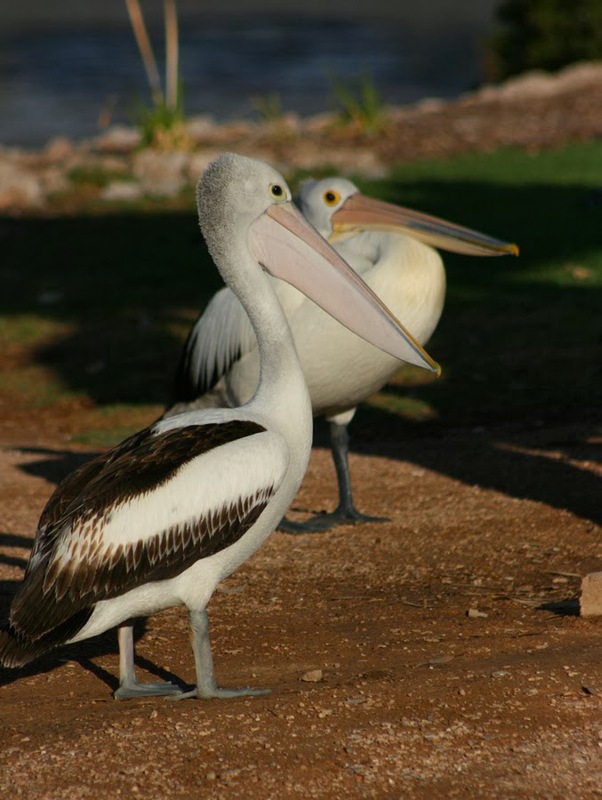 As soon as someone heads to the fish cleaning area the pelicans arrive not long after them. 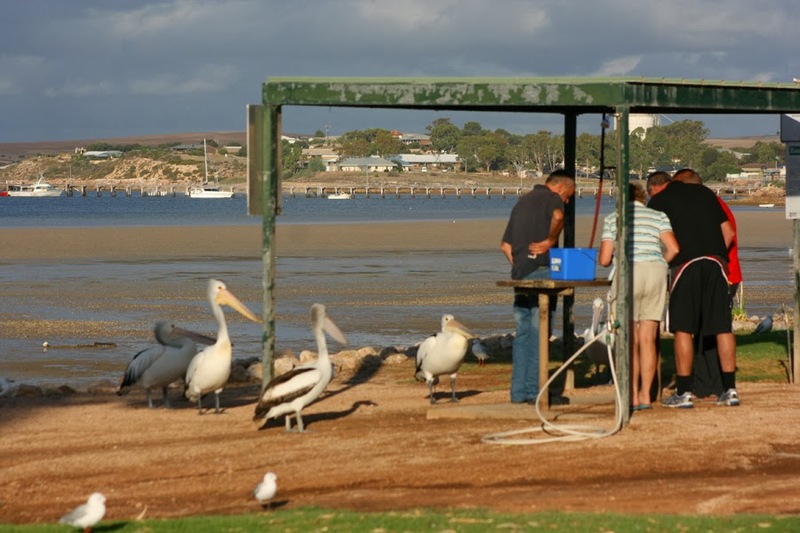 Streaky Bay is another small coastal village with a population of around 1200. The main industries are the growing of cereal grains, fishing and tourism. 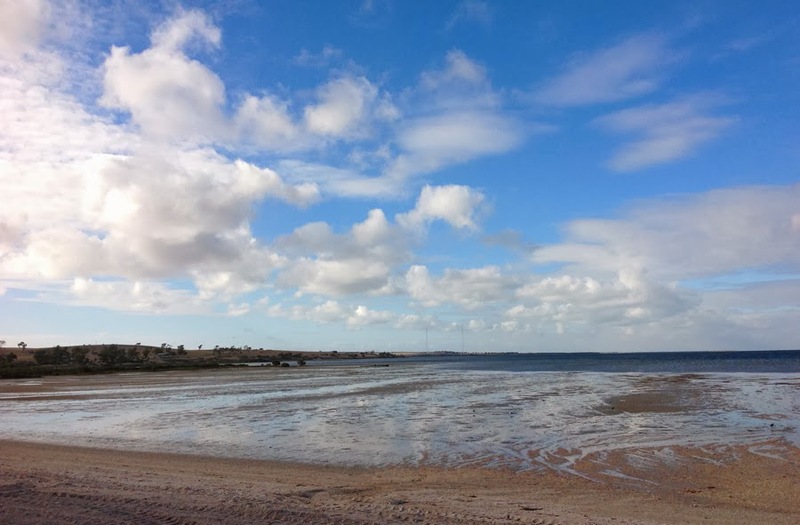 It was named by Captain Mathew Flinders because of the streaks in the water across the bay, which were caused by the reflection of light and seaweed.